Exemptions granted on agri income and subsidies provided by the Centre and states are being cornered by big farmers and corporates. The Comptroller and auditor general’s proposed audit of exemptions granted to big corporates, companies and even farmers under the head of agriculture incomes has once again rekindled the debate as to whether farm incomes derived from big companies and large farmers should be taxed. According to an analysis done by the ministry of agriculture few years back, almost 85 per cent of farmers in India fall under the category of small and marginal, that is those who have a land holding of less than 0.5 hectares to 2 hectares, while large farmers constitute just around 10.59 per cent of the total farming community. Large farmers are classified as those who own more than 10 hectares of land. A LOKNITI-CSDS survey done in 2014 puts this number at seven per cent of total farming community. Experts said any move to tax farm income should be limited to large farmers and it won’t have a general impact on the sector as majority of the farmers would be out of its ambit. Another reason why the talk of taxing farm incomes has gained ground is because studies have shown that not just exemption from income tax, big corporates, seed and food processing companies have been garnering majority of the farm loans and also benefiting from the subsidy and waivers granted to them. A study done on bank credit and agriculture in India, by R Ramakumar and Pallavi Chavan of the Tata Institute of Social Sciences, shows that the share in direct agricultural credit of loans of less than Rs 20,000 each fell from 92.2 per cent in 1990 to just 48 per cent in 2011. On the other hand, the corresponding share for loans that were more than Rs 1 million (Rs 10 lakh) each increased from just about four per cent in 1990 to about 23 per cent in 2011. 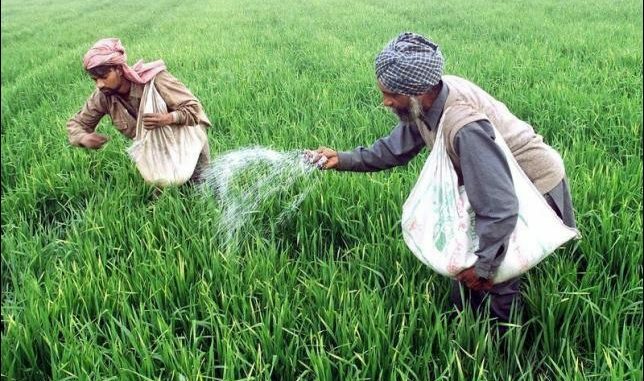 Further, very large-size loans, having a credit limit of Rs 100 million (Rs 10 crore), increased in terms of their share in direct agricultural credit from just 0.3 per cent in 1990 to 11 per cent in 2011. “Clearly, these large loans were advanced primarily to finance the new activities – such as large agribusiness-oriented enterprises – that had been added to the definitions of direct and indirect advances after the late 1990s,” the report said. It also said that there was substantial increase in the percentage of farm credit from urban and metropolitan branches which clearly meant that the loans and all subsequent subsidies associated by it were being cornered by people who are not directly associated with farming. The report showed that in 2011, about 33 per cent of total agricultural credit and about 26 per cent of direct agricultural credit came from bank branches located in urban or metropolitan centres. At the same time, about 67 per cent of indirect finance to agriculture was from branches located in urban or metropolitan centres,” the report said. The supply of agricultural credit from urban or metropolitan bank branches was highest in West Bengal, Maharashtra, and Tamil Nadu. All these factors point towards a very fundamental fact that both exemptions granted on agricultural income and also subsidies that the Centre and states provide on farming are being majorly cornered by big farmers, corporates and food processing companies; leaving the actual beneficiaries out of the ambit. Perhaps this is the reason why the Centre has initiated talks to tax farmers with large landholdings.